The Department of Family Medicine and Community Health (DFMCH) extends a warm welcome to the 52 residents who, on July 1, 2017, entered our statewide sponsored and academic partner programs. 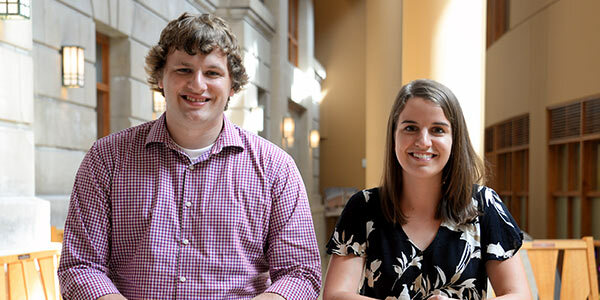 The incoming class includes two Madison residents who are participating in a new rural health equity track at the UW Health Belleville Clinic, and 10 residents at two Aurora Health Care residency programs (Lakeland RTT and Waukesha) that are now academic partners with the DFMCH. 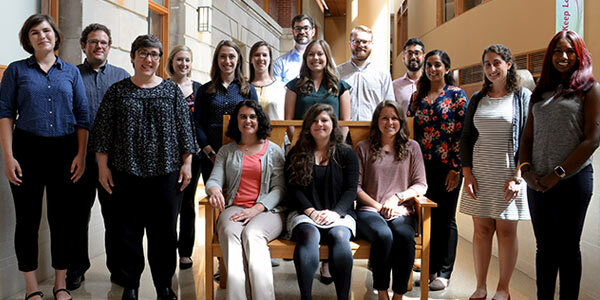 We also welcomed nine fellows in our academic, primary care research, integrative health, primary care sports medicine and addiction medicine fellowships. Get to know the new classes in each program below. Both of the new Baraboo residents were raised on farms: one in Wisconsin and one in eastern Iowa. One incoming resident is a graduate of the Wisconsin Academy for Rural Medicine (WARM) program at the UW School of Medicine and Public Health, and was a student representative on the WARM admissions committee. He also volunteered as a Wisconsin Area Health Education Centers health careers camp counselor. During medical school at Des Moines University, one incoming resident completed an educational pathway focused on rural primary practice, and presented research on her medical school’s rural medicine elective at a Society for Teachers of Family Medicine (STFM) conference on medical student education. She also completed a predoctoral fellowship in osteopathic manipulative medicine and participated in a global health service trip to Honduras. Two of the incoming Eau Claire residents were born and raised in Wisconsin, while two others are native Californians and will experience their first Midwestern winters. Each of the incoming Eau Claire residents reports a love of outdoor activities, including archery, sailing, running, hiking, mountain biking, fishing, soccer and golf (and perhaps skiing, skating or ice fishing by next summer). Several of our incoming residents are looking forward to practicing medicine in Wisconsin upon graduation in three years. Karyn Cecele, MD, and Kelsey Schmidt, MD, are the first two residents in the Madison program’s new rural health equity track (http://www.fammed.wisc.edu/placing-doctors-in-rural-residency-programs/) at the UW Health Belleville Clinic. While in medical school, many of the incoming residents volunteered at their school’s free clinics or on medical outreach teams. Two provided medical care on Indian reservations in New Mexico and Wisconsin. They’ve also provided volunteer medical care in such countries as Belize, Dominican Republic, Guatemala, Kenya, Nepal, Peru and Uganda. Incoming residents’ leadership roles at their medical schools have included American College of Osteopathic Family Physicians national liaison; Medical Friends of Lesbians and Gays (MedFLAG) president, osteopathic student association president and Medical Students for Choice chapter president. Each of the five incoming residents has a Midwest connection. Four lived in Wisconsin at one point, and one grew up in Wausau. 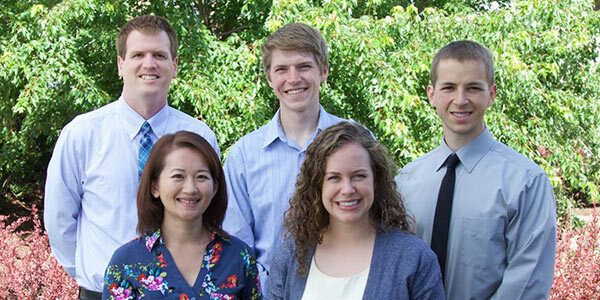 One incoming resident is a doctor of osteopathic medicine and four are allopathic physicians. Three of the incoming residents have participated in international medical experiences in Peru, Madagascar, Zambia, and Viet Nam. All five enjoy outdoor activities such as skiing/snowboarding, hiking/backpacking, canoeing, and flag football. Other interests include cooking/baking, sewing, and the Packers. 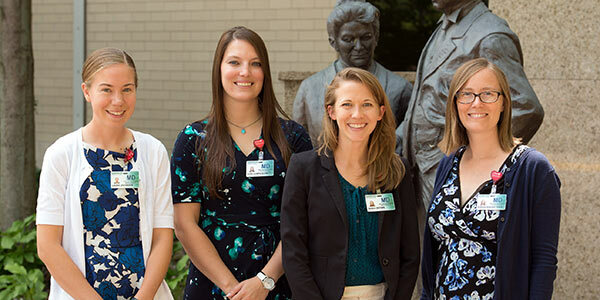 All four of the newest La Crosse family medicine residents are from Wisconsin. The new residents have a wide variety of interests, including rural medicine, wilderness medicine, community health and full-scope family medicine. 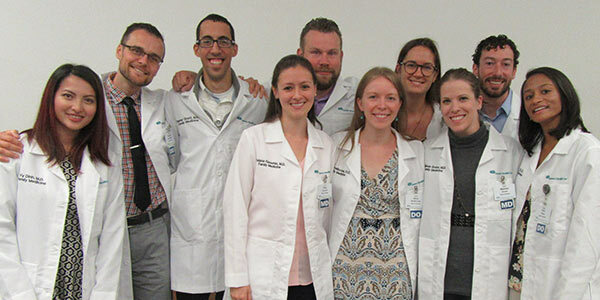 The Aurora Lakeland Rural Training Track Family Medicine Residency is a brand-new program. 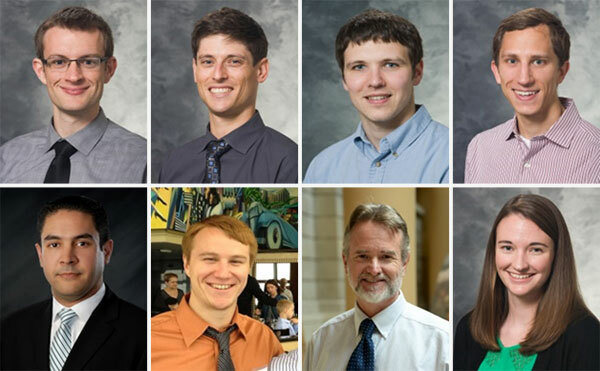 Residents spend their first year in Milwaukee on inpatient rotations with Aurora St. Luke’s Family Medicine residents (link to section below), and their second and third years at the Aurora Lakeland Medical Center in Elkhorn, Wisconsin. The incoming class of four residents is the program’s first class. The program’s four residents come from Wisconsin, Illinois, Oklahoma and Minnesota. All four residents are interested in practicing rural medicine in Wisconsin; other clinical interests include obstetrics and geriatrics. Of the program’s 10 incoming residents, four are from Wisconsin, three are from Illinois, one each are from Michigan and California, and one is from Jerusalem, Israel. Five of the incoming residents are doctors of osteopathic medicine. Incoming residents cited integrative health and community health as two of the key areas they hope to focus on during residency. Residents’ other clinical interests include refugee health, preventive medicine, sports medicine, mental health, lactation medicine, women’s health and obstetrics. 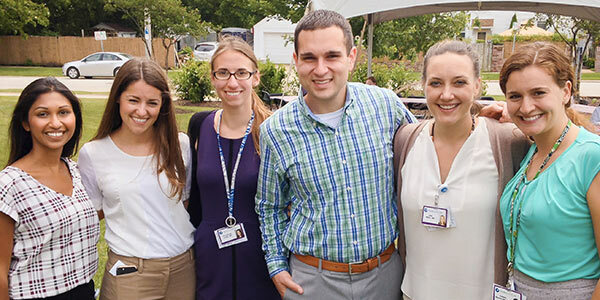 The Waukesha Family Medicine Residency Program transitioned from Medical College of Wisconsin sponsorship to Aurora Health Care sponsorship in July 2017. Of the six incoming Waukesha residents, three are from Wisconsin and three are from Illinois. Five of the incoming residents are interested in practicing obstetrics upon completing residency. One is considering entering an obstetrics fellowship after residency. Incoming residents’ additional clinical interests include women’s health, sports medicine and geriatrics. 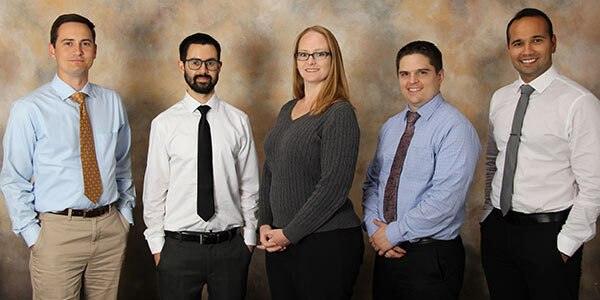 The DFMCH also welcomed nine fellows in its academic, primary care research, integrative health, primary care sports medicine and addiction medicine fellowships. Our new academic fellow is a former Madison chief resident who practices at the UW Health Northeast Family Medical Center. Her interests include women’s health and obstetrics, and further developing resident teaching skills. 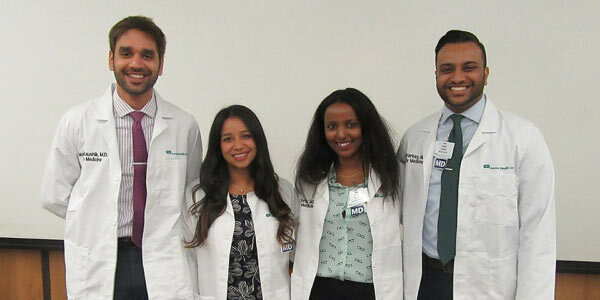 Our three new primary care research fellows’ interests include developing a mobile health tool to improve diabetes care in rural Guatemala; the efficacy of interventions such as mindfulness and psychotherapy on personality pathology, depression and substance abuse; and reducing health disparities in aging and memory disorders among African Americans. Both integrative health fellows are graduates of the DFMCH’s Madison residency program. They have clinical interests in osteopathic manipulative medicine, prolotherapy, yoga, mindfulness, nutrition and biofeedback. Our two new addiction medicine fellows have significant clinical experience as primary care providers, and have seen first-hand the prevalence of alcohol and drug addiction. One has added an outpatient drug addiction treatment program to his practice at a community health center. Our primary care sports medicine fellow is a Madison residency program graduate with interests in injury prevention, sports nutrition, and helping people become and stay active throughout their lives.